“Taqleed is in itself an innovation which started in latter times as we know there was no madhab during the era of the companions……” (E’qaaz Humam Oolul al-Absaar of Allaamah Fulaanee (p.74). “And when it is said to them: “Follow that which Allaah has sent down”, they say: “No, we shall follow that which we found our fathers (following). Even if Shaitaan (Satan) invites them to the torment of the Fire.”(Soorah Luqmaan (31):21). The Statement of the Scholars. 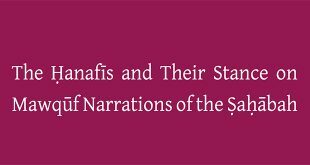 Below are some statements of some of the scholars in regards to taqleed and most of the statements are from the scholars and sheikhs of the hanafee’s. “ONLY THE DISOBEDIENT AND MISGUIDED DOES TAQLEED.” (Leesaan ul-Meezaan (1/280) Of Imaam Ibn Hajr al Asqalaanee. 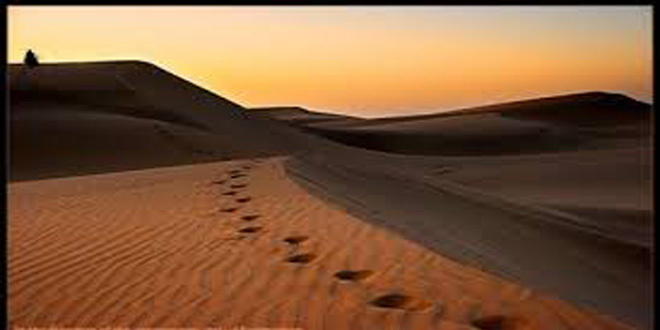 “The Companions and Taabi’een would follow the path instructed by the Messenger of Allaah (Sallalahu Alayhee Was-Sallam) and the earlier and latter people were also advised to follow (Ittibaa) the Messenger of Allaah (Sallalahu Alayhee Was-Sallam). They followed the Messenger of Allaah (Sallalahu Alayhee Was-Sallam) all their lives…” (Sharh Aqeedah Tahawiyyah (p.72). “The Scholars of hadeeth of this era and period close, and from them a great number and we have not even mentioned 1/10 (One tenth) of them. Likewise in the same time a group of people of Ahlur-Rayy (The people of opinion) Wal-Furoo (The hanafee’s), and how many of their heads were mu’tazilees and Shee’ah and the people of Kalaam were present. Who chased people statements (Fatwaas) and left the way of the Salaf which was to hold onto the hadeeth of the Prophet. And from this same time taqleed became apparent amongst the people and the fuqaha performed ijtihaad to a lesser extent.” (Tadhkirratul-Huffaadh (2/627-628, after the ninth Tabaqah). “If there is a mother of misguidance! then it has to be taqleed.” (Itwaaq Az-Zabaab (p.42). “If taqleed was permissible then the people before us had more right, of us making taqleed of them (rather then the four Imaams) such as Hasan al-Basri and Nakha’ee.” (al-Mabsoot (12/28). “Allaah has not obligated upon anyone that he become a hanafee, shaafi’ee, maalikee or a hanbalee, rather Allaah has obligated action upon the sunnah of the Messenger of Allaah (Sallalahu Alayhee Was-Sallam) upon everyone.” (Sharh Ain al-Ilm (p.326). “(And remember) the Day when We shall call together all human beings with their (respective) Imaam.” (Soorah Israa (17):71). “Some of the Salaf said the status of the people of hadeeth (Who follow hadeeth and do not do taqleed) is that their Imaam Will be Muhammad (Sallalahu Alayhee Was-Sallam).” (Tafseer al-Qur’aan al-A’dheem (3/56) of Imaam Ibn Katheer. Imaam Suyootee said the same. (Badoor as-Saafirah Fee Amoor al-Aakhirah (p.73). Imaam Qaasimee said the same. (Mahaasin at-Ta’weel (10/252). (This narration is authentic, Imaam Khateeb Baghdaadee in Sharf Ashaabul-Hadeeth (p.94), Imaam Harawee in Dhamm ul-Kalaam (2/306), Toosee in Amaalee (p.41), Imaam Baihaqee in al-Mudkhil (p.391) and in Manaaqib ash-Shaafi’ee (1/477), Abu Nu’aym in Hilyah (9/109).